Eyebrow cosmetic tattooing can be used to help enhance light eyebrows, reshape over plucked and scarred eyebrows or to achieve a better shape to suit the face. 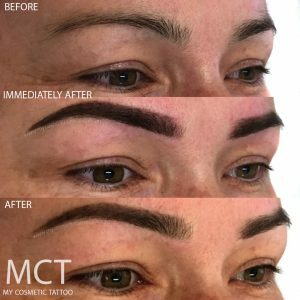 A full consultation ensures that all of the clients needs are met, as well as the right choices are made in terms of technique, colour and shape with the complexion and facial features and desired result in mind. For more information on Eyebrow Tattoo procedures visit our FAQs section. For examples of our work please visit the Gallery page. 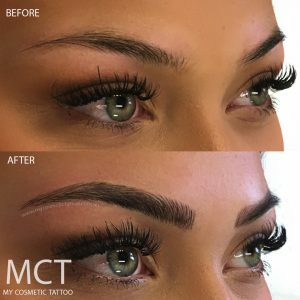 3D eye brow tattooing is probably the most popular technique used. 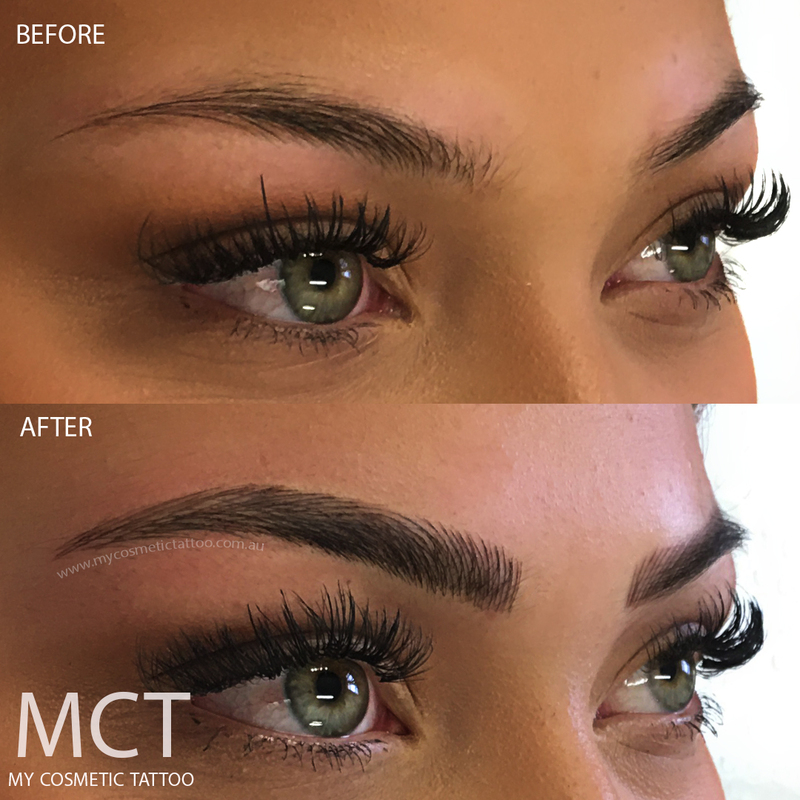 Hair strokes are tattooed, in the same way as natural brow hairs to achieve a fuller more defined look. Due to its delicate nature, usually a few sittings are required to achieve depth and the finished look. Is not recommended for some skin types. The shading technique is another commonly used technique. It heals semi opaque with blurred outlines to give a soft finish. A great way to add subtle depth and adjust eyebrow shape. It is usually recommended to oily skin types. 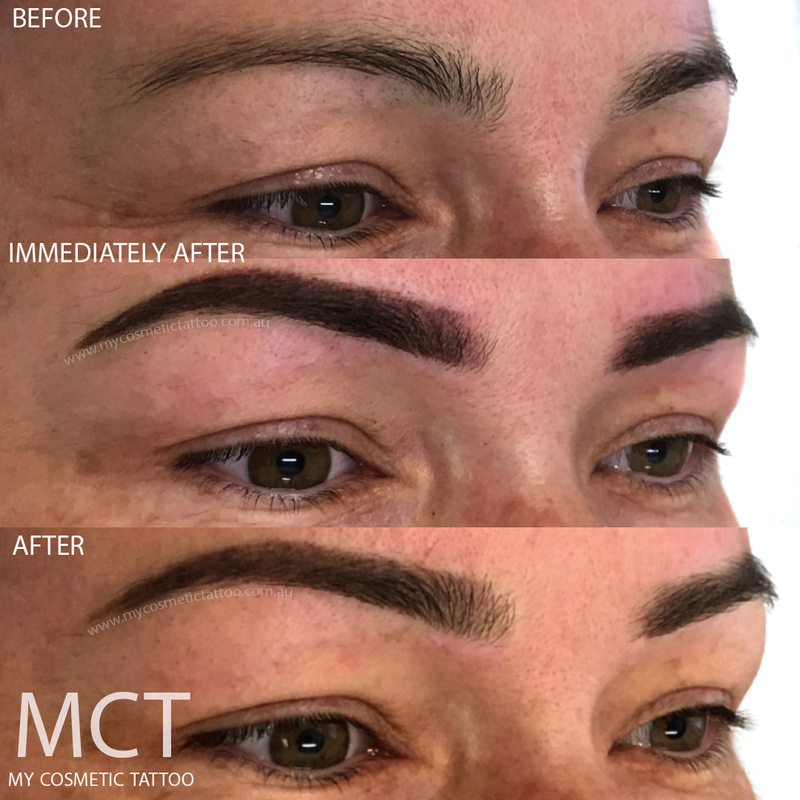 Before, immediately after and healed powder finish brow tattoo. This technique combines both feathering and powder finish, creating a more polished finish as well as help blend in the hair strokes with the brow. 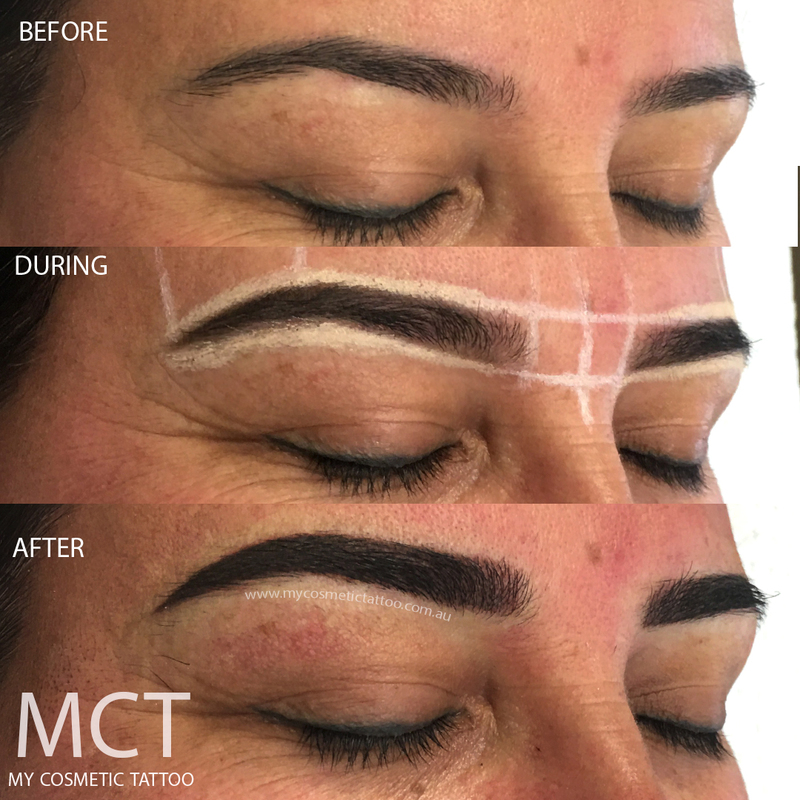 Before & After Hybrid Brow tattoo which is a combination of feathering and powder. The block technique is usually used where a customer has a preexisting tattoo that can only be concealed by a total block. Some customers also opt/prefer the solid look as it may suit their look/style. Enhancement of colour to best suit complexion. Correction of shape to help boost facial structure. Re-defines the eye area resulting in an instant eye-lift. Fills in gaps caused by scarring or over plucking.